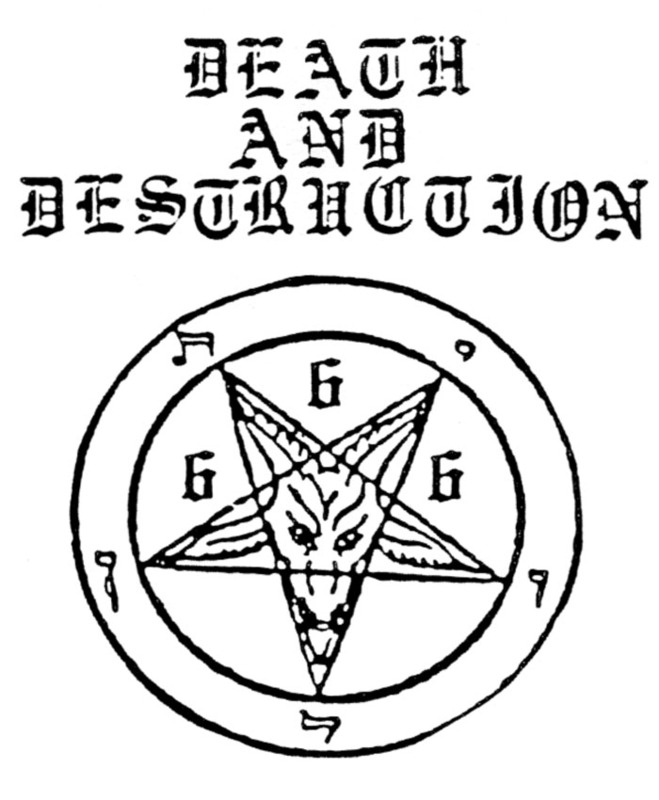 During the early days of underground metal, you could not find this music in record stores. You could not find it in the mainstream news. 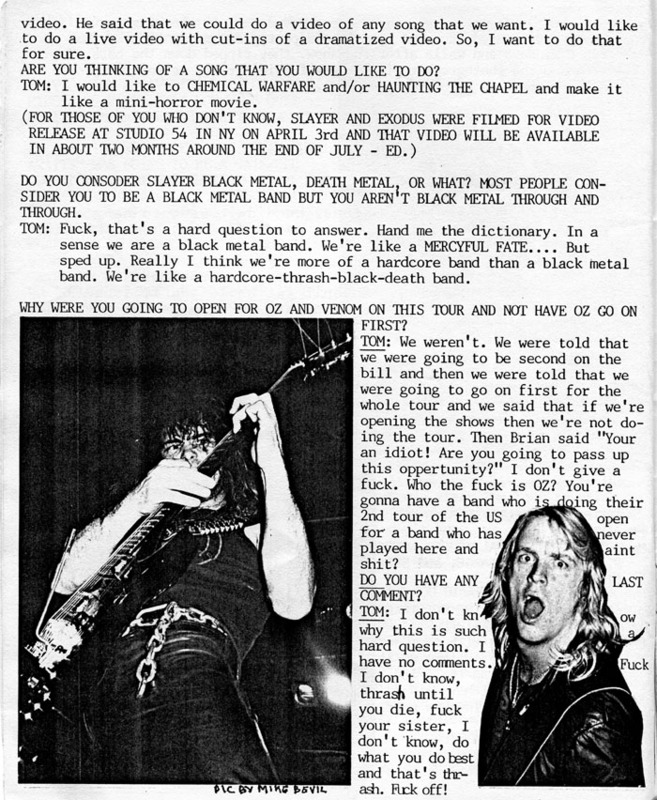 You couldn't even find it in most metal magazines. 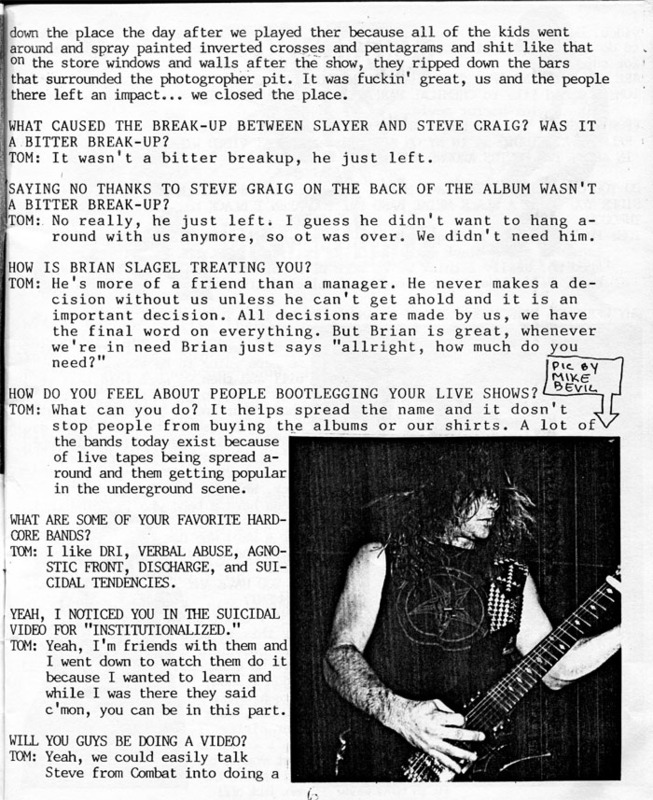 Instead, you learned about it through word-of-mouth, the pre-internet metal net, or a 'zine. 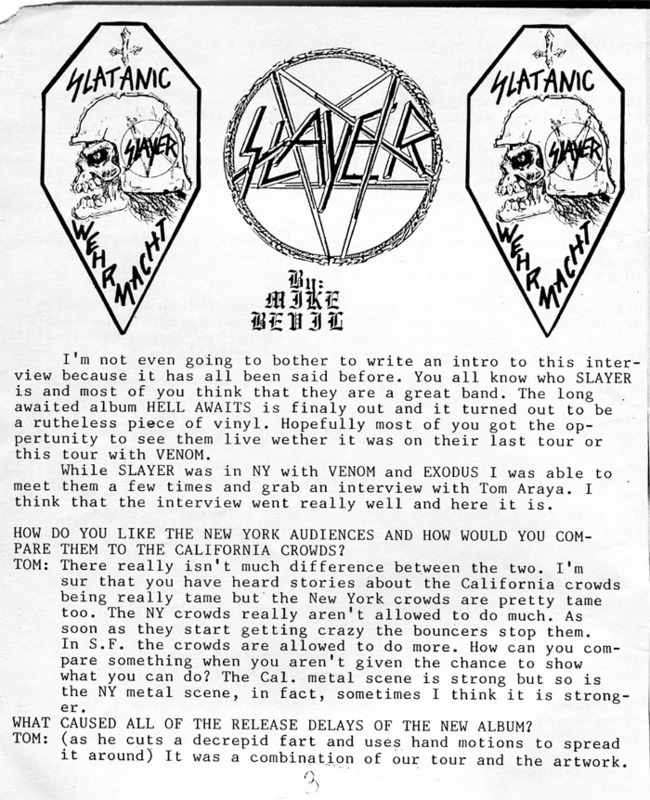 Zines were hand-copied, often half hand-written and half-typed, and all metal. 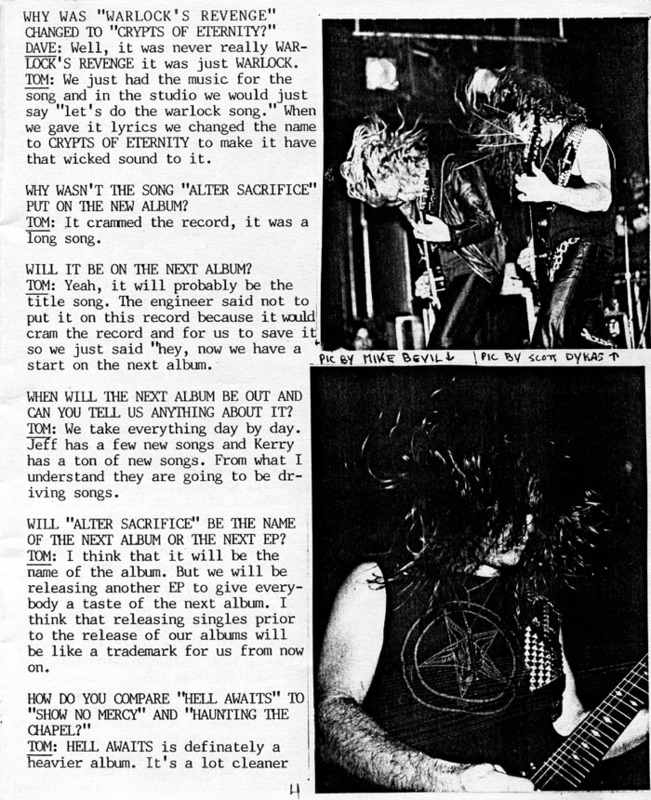 Adorned with pentagrams and grinning skulls, they brought the news of underground metal at low, low prices of $2 for a 50-page zine mailed directly to your door. 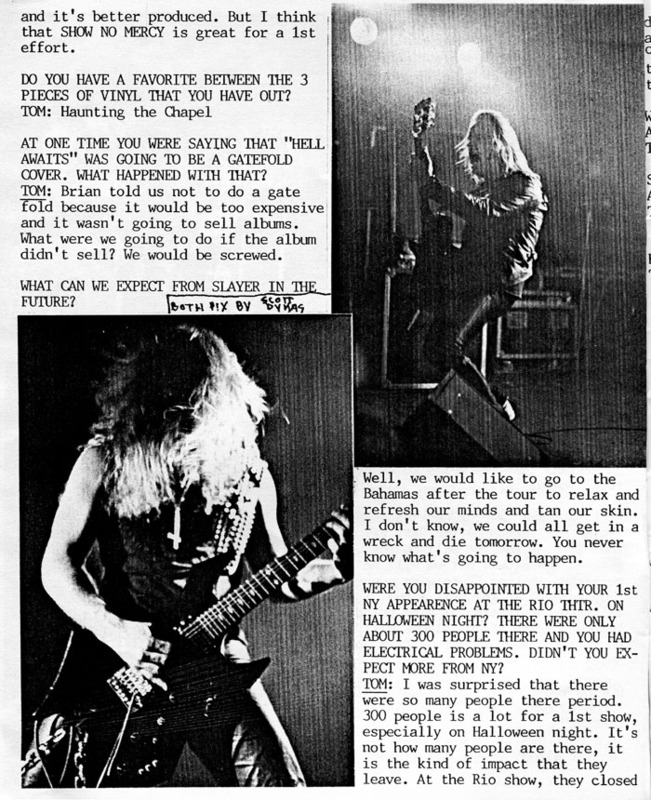 Since there was no other media attention, they also had great first-in-line interviews like this early Slayer interview. 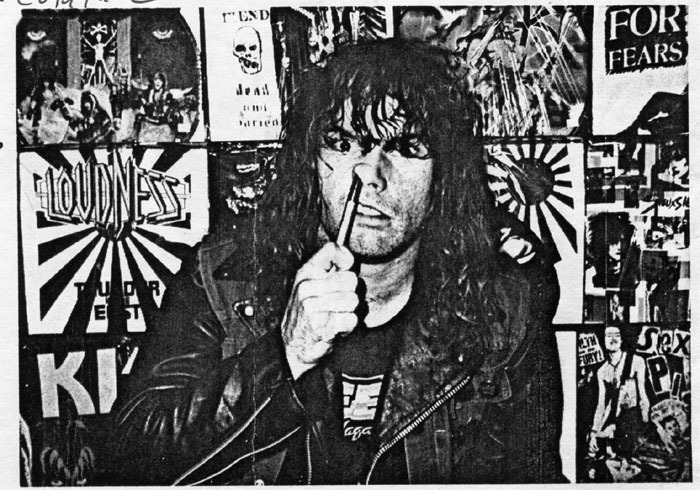 For this International Day of Slayer, enjoy a trip back into the early days with Death and Destruction zine. Click here for the original magazine scans (300 dpi, PDF, 30mb).